Located in between California and Hawaii, these areas of spinning debris are linked together by the North Pacific Subtropical Convergence Zone, located a few hundred kilometers north of Hawaii. This convergence zone is where warm water from the South Pacific meets up with cooler water from the Arctic. The zone acts like a highway that moves debris from one patch to another. biodegrade but instead break down into smaller pieces. A plastic water bottle discarded off the coast of California, for instance, takes the California Current south toward Mexico. There, it may catch the North Equatorial Current, which crosses the vast Pacific. These debris can be very harmful to marine life. For instance, loggerhead sea turtles often mistake plastic bags for jellies, their favorite food. Albatrosses mistake plastic resin pellets for fish eggs and feed them to chicks, which die of starvation or ruptured organs. These debris can also disturb marine food webs. As microplastics and other trash collect on or near the surface of the ocean, they block sunlight from reaching plankton and algae below. Algae and plankton are the most common autotrophs, or producers, in the marine food web. Autotrophs are organisms that can produce their own nutrients from oxygen, carbon, and sunlight. If algae and plankton communities are threatened, the entire food web may change. Animals that feed on algae and plankton, such as fish and turtles, will have less food. If populations of those animals decrease, there will be less food for apex predators such as tuna, sharks, and whales. Eventually, seafood becomes less available and more expensive for people. 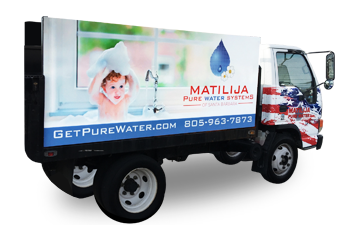 Matilija Pure Water Systems is committed to help protect our environment. 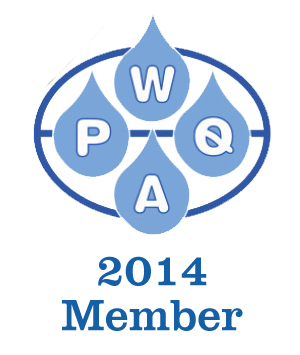 By eliminating the use of plastic bottles and using reverse osmosis systems or home filtration you can do your part as well.